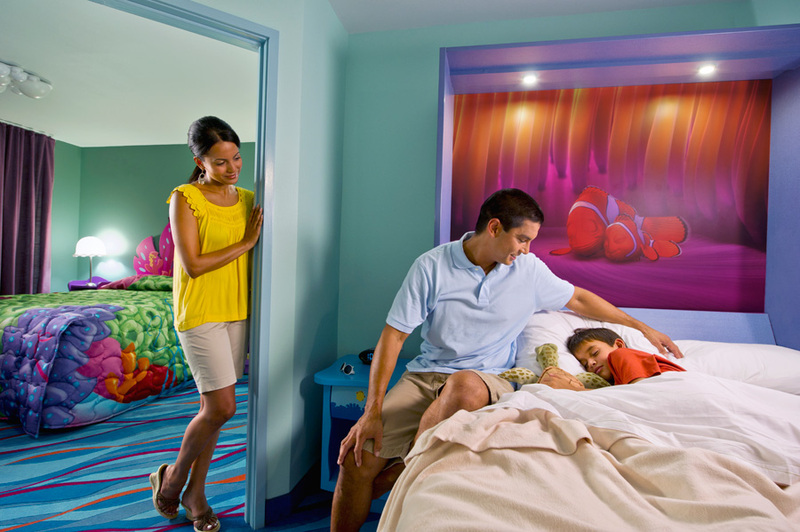 We’ve been drooling over the concept art and watching construction of the Art of Animation Resort for a long time. 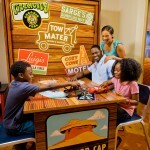 Now, thanks to the Disney Parks blog, we get to see some interior rooms for the first time. 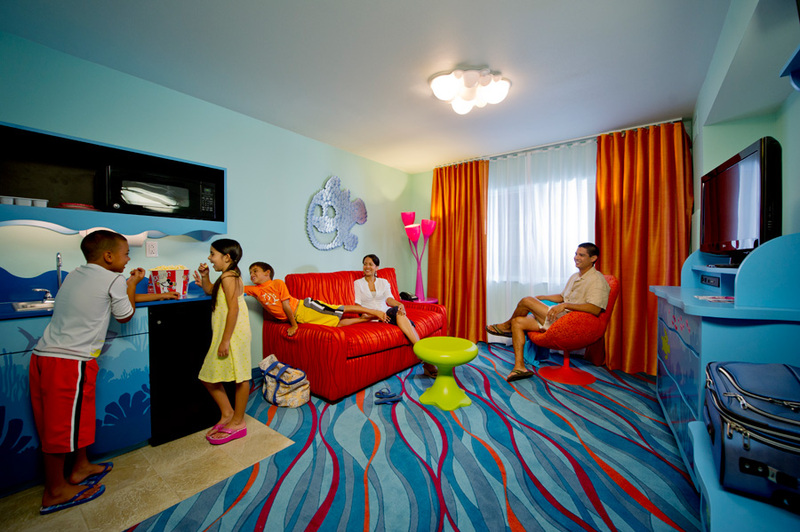 The Art of Animation resort is first non-DVC resort to open at Walt Disney World in a long time, so excitement is understandable. 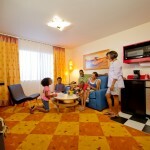 These pictures all depict what Disney is calling its ‘Family Suites’. 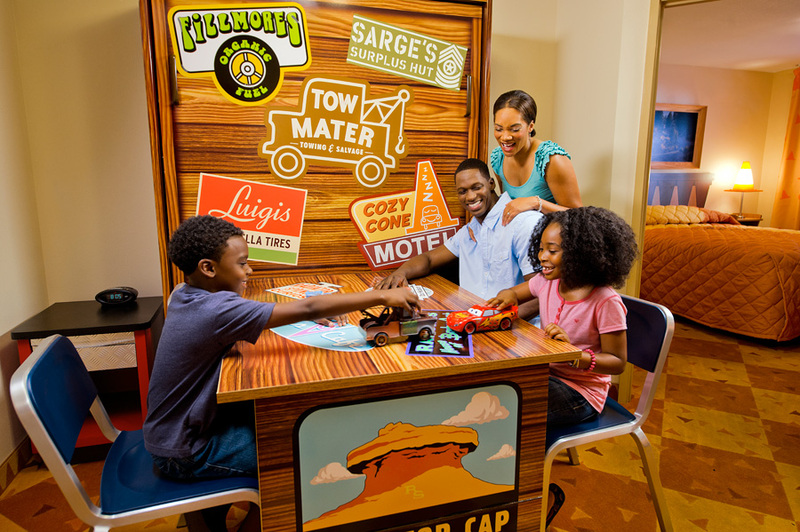 Basically one bedroom suites with a special area that features a table (for eating and activities) that is also Murphy bed for two (small) kids. Add that to a pull-out couch and you’ve got sleeping area for 6. 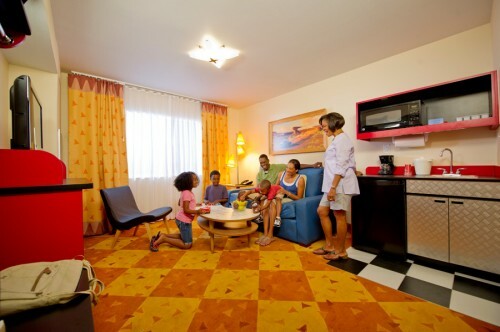 A nice option for larger families, or those who wish to travel with three generations. I’m a bit taken back by how stark some of these designs are. 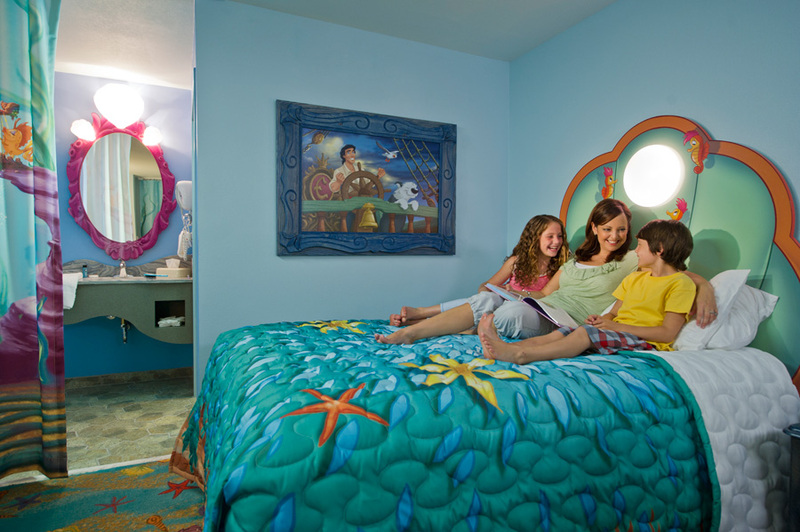 It might just be the angle of the photography, but other than a wall decoration or two, there’s not a lot going on in the rooms. 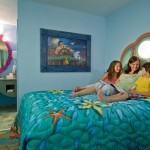 I guess I’m spoiled by some of the more themed rooms they’re building at the moderate resorts and at Disneyland. These seem skeleton in comparison. But then again, they do have a small kitchenette, which will help with expenses. 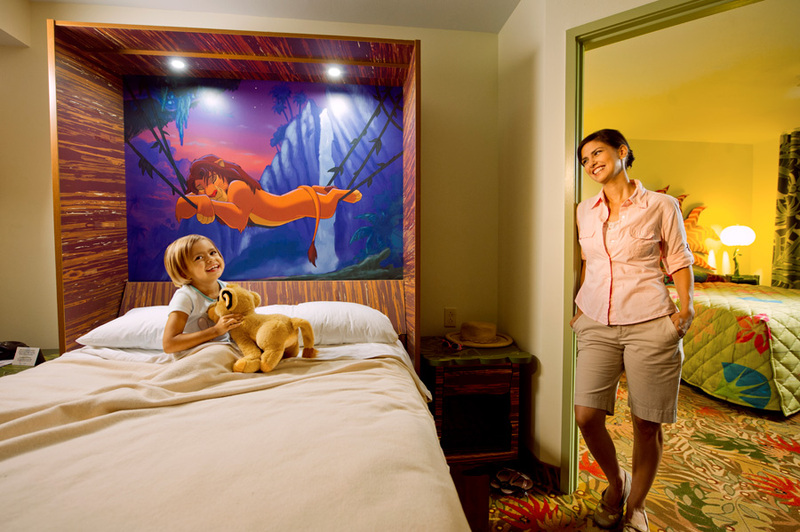 You can actually book these rooms already. If you have booked at Art of Animation or are thinking about it, I’d love to hear about your reasoning for doing so in the comments.